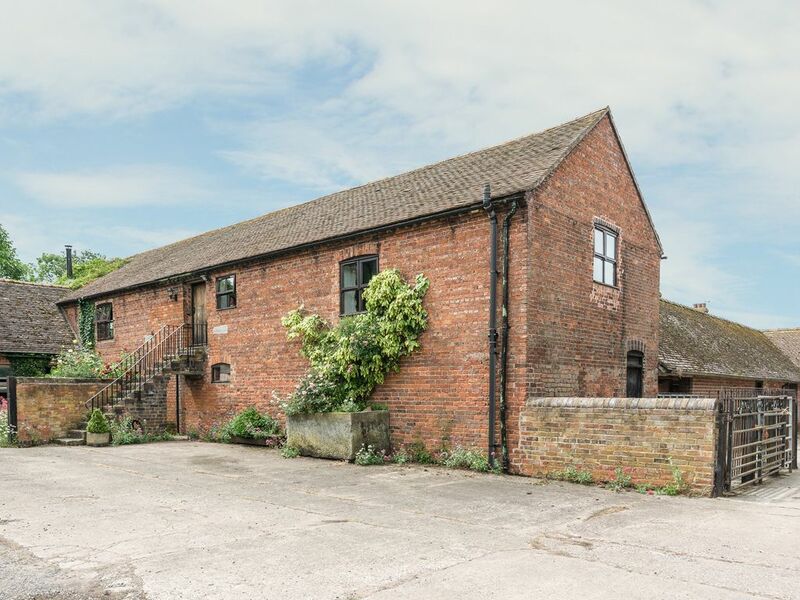 This wonderful, detached, 19th century barn conversion in Kynnersley can sleep six people in three bedrooms. Sutherlands Drift is a fabulous, detached, 19th century barn conversion cottage situated on a 400-acre working arable farm in the quiet village of Kynnersley, near Lilleshall. Set solely over the first floor, with ramped access to the rear, the cottage offers a master super king-size double room with a TV and an en-suite shower room. There are also two twin rooms, a family bathroom, and an open plan living area with a kitchen, dining area, and sitting area boasting a woodburning stove. Outside, there is off road parking for three cars and a large, lawned garden with a patio, furniture, barbecue, and a children's play house. Sutherlands Drift is a wonderful base for exploring Shropshire, all year round. Amenities: LPG central heating with woodburning stove. Electric double oven and hob, microwave, fridge/freezer, washing machine, tumble dryer, dishwasher, 2 x TVs (one with Freeview), DVD, CD/radio, WiFi. Fuel, power and starter pack for stove inc. in rent, additional fuel available to purchase from owner. Bed linen and towels inc. in rent. Cot and highchair on request. Off road parking for 3 cars. Bike storage. Lawned garden with patio and furniture, BBQ and childrens playhouse. Sorry, no pets and no smoking. Shop and pub 1.5 miles. Note: Property is accessed via 13 steps up to the front door, there is also access from the garden via 3 steps. Town: Kynnersley is a small, rural village situated on the North Shropshire Weald Moors. The village is home to the St. Chads, a 13th century church featuring an unusual bell tower, and Whim Cottage, a Grade II listed building which dates back to the 16th century and is the oldest house in the village. With so much to see and do in this Area of Outstanding Natural Beauty, Kynnersley is a wonderful, relaxing base for uncovering the delights of Shropshire, all year round! All first floor. Three bedrooms: 1 x super king-size double with TV and en-suite shower, basin and WC, 2 x twin. Bathroom with bath, shower over, basin and WC. Open plan living area with kitchen, dining area and sitting area with woodburning stove. Utility. LPG central heating with woodburning stove. Electric double oven and hob, microwave, fridge/freezer, washing machine, tumble dryer, dishwasher, 2 x TVs (one with Freeview), DVD, CD/radio, WiFi. Fuel, power and starter pack for stove inc. in rent, additional fuel available to purchase from owner. Bed linen and towels inc. in rent. Cot and highchair on request. Off road parking for 3 cars. Bike storage. Lawned garden with patio and furniture, BBQ and children’s playhouse. Sorry, no pets and no smoking. Shop and pub 1.5 miles. Note: Property is accessed via 13 steps up to the front door, there is also access from the garden via 3 steps.